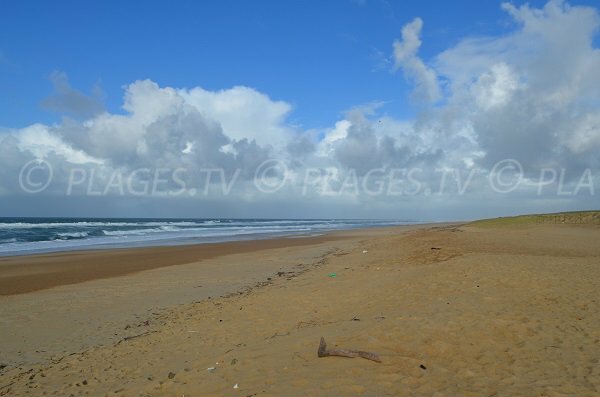 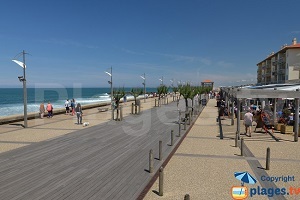 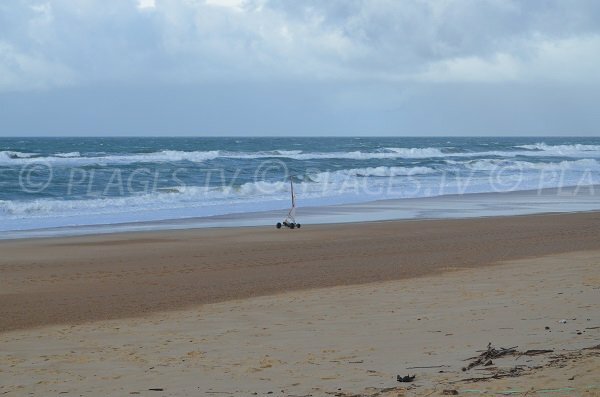 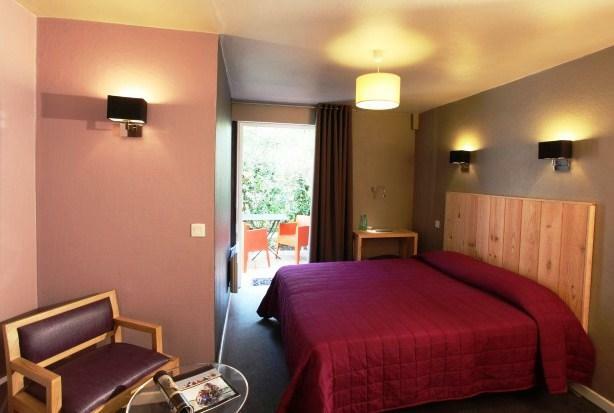 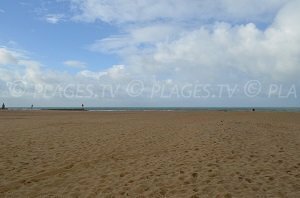 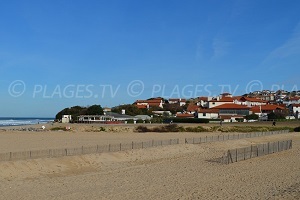 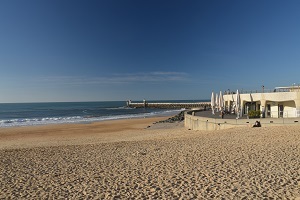 Gravière Beach in Hossegor is located north of the city in a natural protected site. 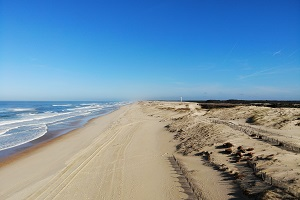 Differing from the southern and central beaches, here we find tall dunes. 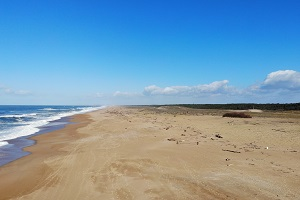 The environment is peaceful and there are less visitors here than on the other beaches (probably due to slightly difficult access). 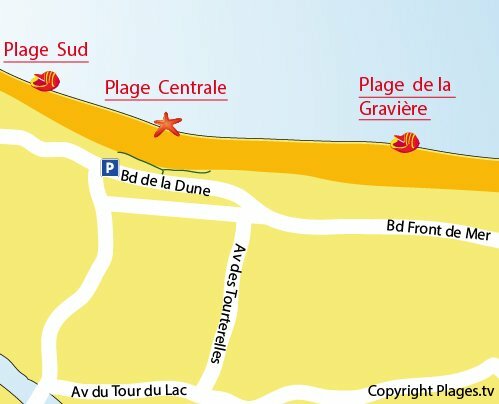 Note that there is a lifeguard in the summer. 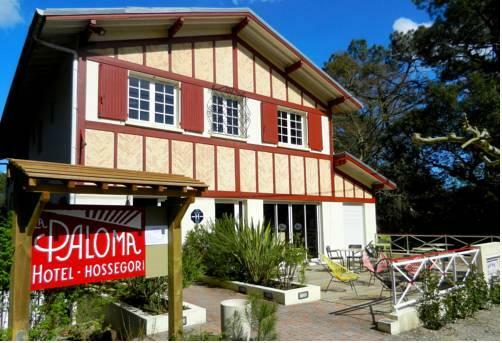 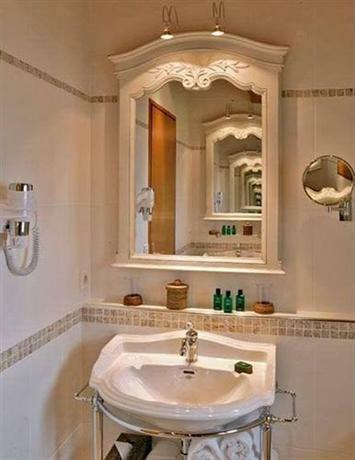 To get here from downtown, go toward Seignosse. 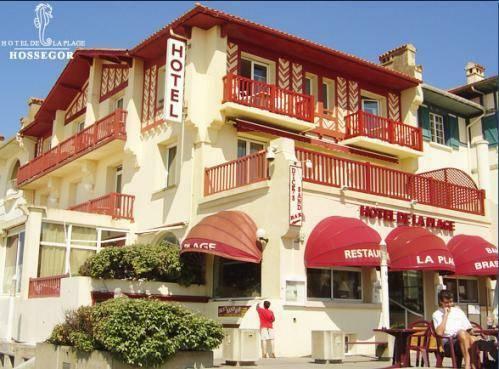 After 500 meters you will find a small free parking lot across from avenue des Pervenches. 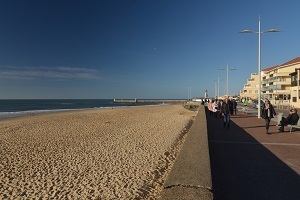 A landscaped access is located here. 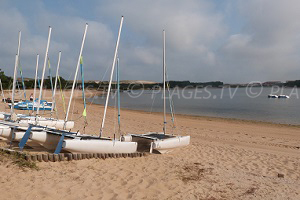 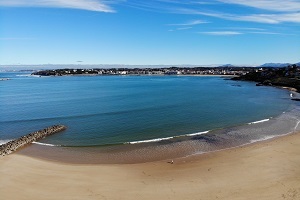 This beach is home to those who practice sand yachting (the photo was taken in January). 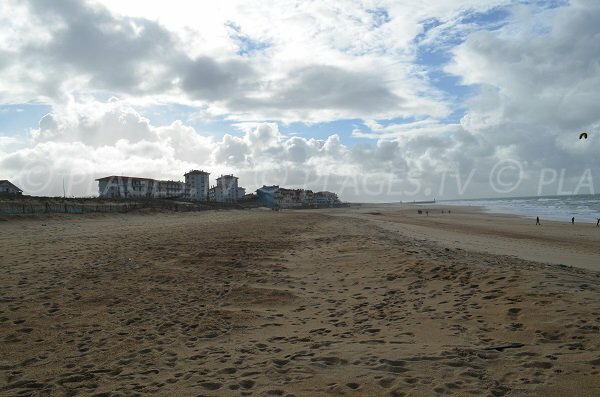 To the left is a nice view of Hossegor at about 500 meters. 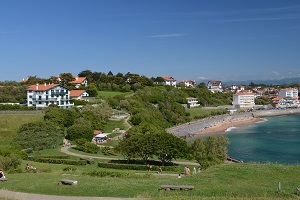 Further, we see the dam that marks the border with Capbreton. 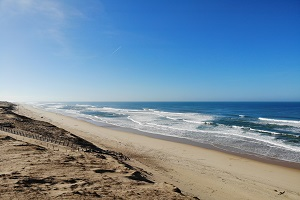 To the north, the beach is completely wild with a very developed dune space. 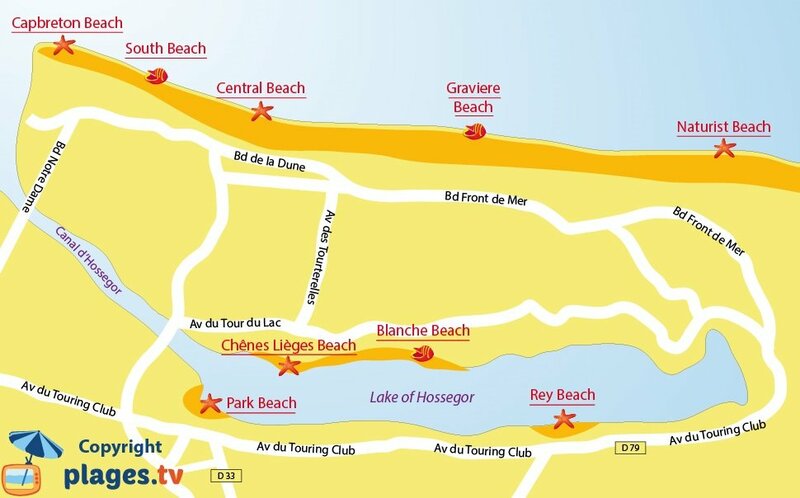 If you walk a little we join Naturist Beach to the north.